It would not be unfair to describe crisis management in China as a disaster zone for brands from the West, including a fair few from the UK. After 40 years of foreign companies gaining access to Chinese markets, there is still much to be learned. Burberry’s current Chinese New Year marketing has received so much criticism that the central content has had to be pulled. 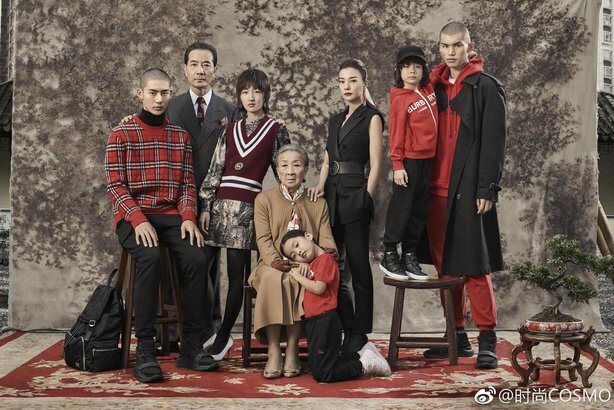 No expense was spared to recruit big names from Chinese cinema and fashion for a fictitious ‘family’ group portrait-based campaign that was instantly rejected by consumers as ‘sinister’ and ‘creepy’. D&G dealt itself a double blow late in 2018. It released a promotional video (below) suggesting Chinese people struggle to eat pizza and other Italian food, which also contained sexual innuendo. When the predictable and widespread backlash went viral, designer Stefano Gabbana responded using a faeces emoji to describe China. The reaction to this was severe. Celebrity ambassadors abandoned the brand, the government banned a D&G fashion show, consumers returned goods, and for the first time online retail giant Alibaba de-listed a brand. So why do these mistakes keep happening? The simple answer is lack of awareness, both culturally and politically. That nobody at Mercedes was aware that using Dalai Lama quotes in marketing would cause controversy is a clear indicator of a corporate body ill prepared for China. When something goes wrong the managements behind such errors are unlikely to handle matters well, and they usually apply standard Western PR protocol, which does not work. This not only occurs with in-house responses, but with China-based Western PR agencies too. Few senior staff at big communications groups located in China have ground-level knowledge. Marriott, Nars Cosmetics, Cadillac, Lancôme, Balenciaga and Audi are just some of the recent offenders that have seriously upset consumers in China. Of those, only Marriott navigated the situation aptly by reacting quickly and communicating effectively. The mistake Marriott made was to list Taiwan and Tibet as countries on its Chinese website. An apology must be broadcast on all Western social media as well as Chinese. Not addressing the issue on global channels is viewed as disingenuous. The public and corporate response to the categorisation by Marriott was swift and widespread, but the hospitality brand apologised quickly using the right media, tone, and level of contrition. It went a long way to rectifying the situation. When a crisis arises, companies must be fast and take full liability, and there should be no attempt to make excuses or hide behind a veil of legalese. Equally important is getting communications content right by having an intimate knowledge of the psychology of the audience. This requires experience of living in China and speaking the language fluently, as well as being well practiced in crisis management. An apology must be broadcast on all Western social media, as well as Chinese. Not addressing the issue on global channels is viewed as disingenuous. Chinese consumers expect a sincere apology to be replicated everywhere as a sign of respect to the global Chinese community. For British and other Western brands, crisis situations in China nearly always begin at home in the boardroom, and with marketing leaderships whose lack of awareness cascades through all processes. It is much easier, and more cost effective, to educate senior staff than to rely on crisis management. An alternative is to partner with third parties that do have the cultural and communications acumen to engage consumers properly. Similarly, when PR problems arise, the effective way to deal with them is from a position of informed Chinese experience, rather than Western expertise. It is the only realistic way the cycle of crisis management catastrophes will be broken.